How to Translate Astra Theme / Plugins in Your Own Language using GlotPress? Docs » General » How to Translate Astra Theme / Plugins in Your Own Language using GlotPress? Astra is 100% translation ready, comes with .po / .mo files and can be translated using any softwares such as POEdit, GlotPress, etc. Out of them all, we recommend GlotPress. GlotPress is an online software that is used by WordPress for translations. The best part of GlotPress is the community. Anyone can login to GlotPress and contribute in translating the project, suggest corrections, validate existing translations. As a outcome of this, projects are usually translated faster and in more accurate manner. 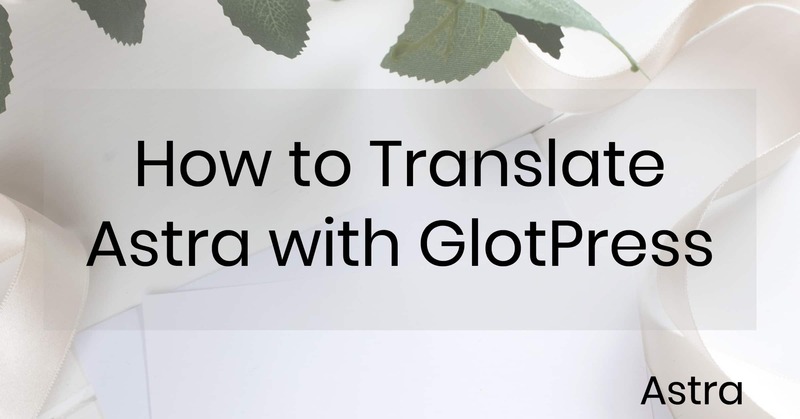 In the post below, I will explain how GlotPress works and how you can use it to translate Astra in your own language. Step 1. Visit the GlotPress Project. GlotPress for Astra Theme is hosted on WordPress Repository here and Astra Pro can be translated here. Step 2: Login or Register a new account. On the language page, you will see the current state of translation of the language and list of other translators who might have already translated contributed in translating the project. You might find some other terms as well which might not be very obvious. So let me explain what they mean. Untranslated: are the strings that are not yet translated by anyone and need work. Waiting: are the strings that are translated by contributors, but yet need approval by the validators. Fuzzy: is a string is marked a fuzzy if it is translated differently by different translators. The language validator (admins) can choose the best string out of such duplicates to mark it translated. Translated: Strings that are already translated and don’t need any further work. Once you translate the strings, project validators take a look at them and approves them. 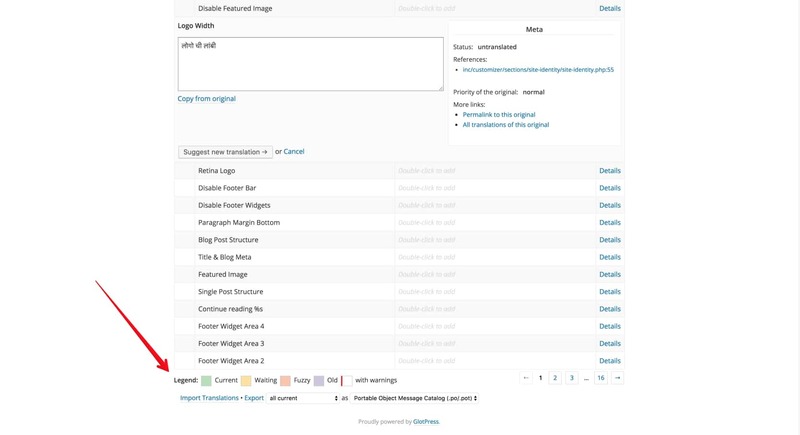 Once the validator approves the translations or makes updates, the latest transnational automatically appears as an update in the WordPress backend if the project is on WordPress.org Repository. 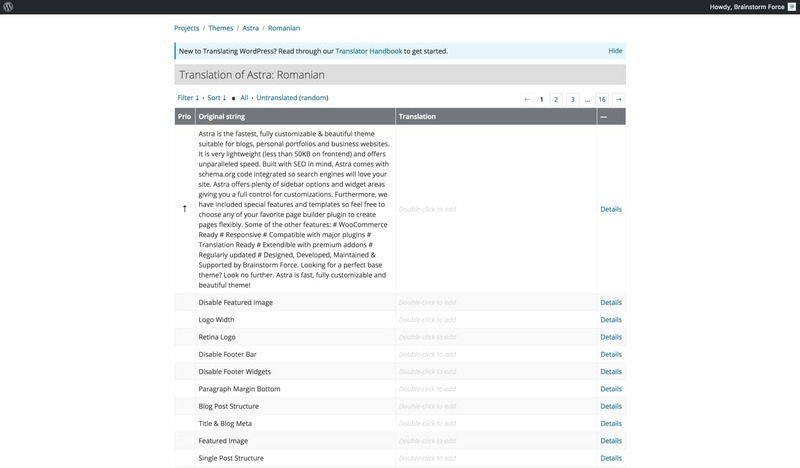 For projects that are not on the WordPress.org Repository (like Astra Pro Addon Plugin), project developers usually ship the completed translations through their project files with the updates. Would you like to become a Translation Validator? Your username on our GlotPress Portal here. The locale you would like to become validator for. Once you submit the request, we can get you added as the translation validator. 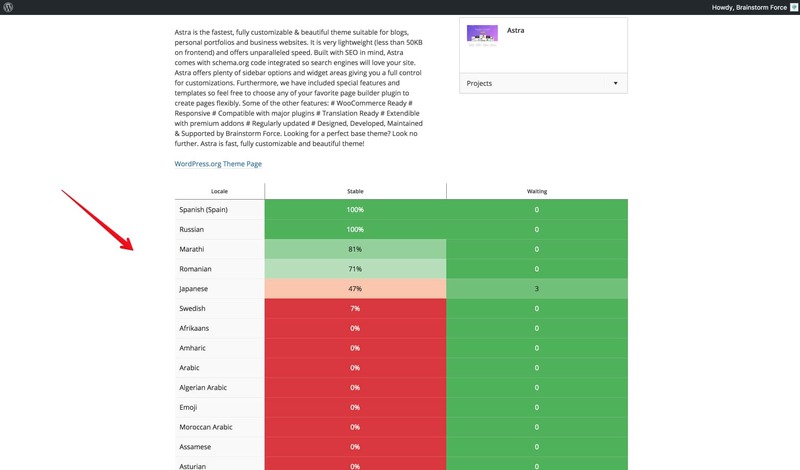 Translation validators are able to approve the translated strings so they can be shipped to all users. Need to add translation in your project immediately? Should you wish to implement this translation in your website immediately, you can export the current translation file in the .po & .mo format and use on your website by uploading it to the languages folder using FTP / SFTP with correct naming convention. Correct naming convention is very important. 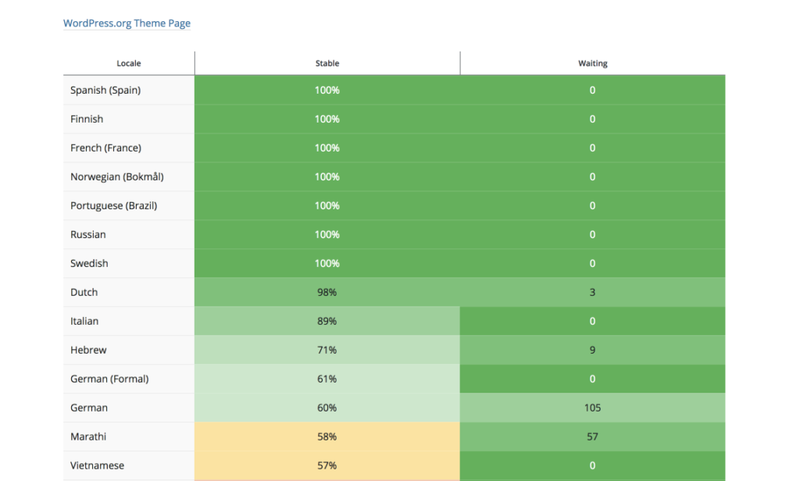 This will make sure that WordPress understands what language you are referring to. Be sure to prefix the text domain before the language code. Capitalization is also important here. For languages codes, please refer this list. 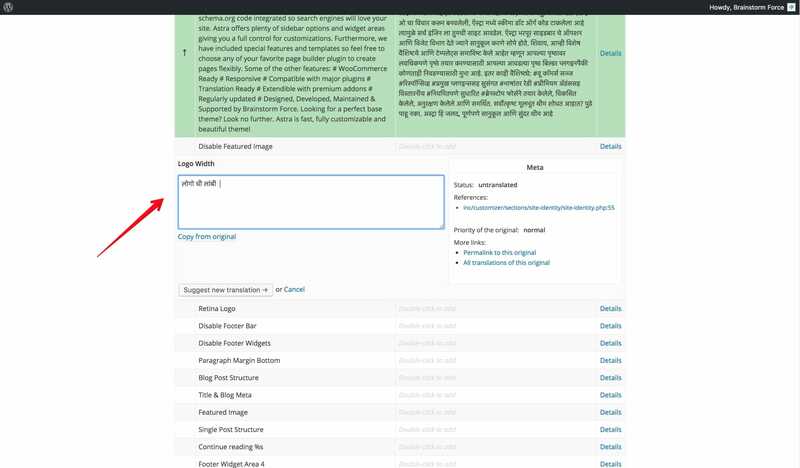 Text domain can be found in the style.css file of the theme, or main PHP file of the plugin. Please note, we’re adding translation files in the /wp-content/languages/ directory. Many tutorials on other websites might ask to upload the file inside a theme or plugin’s folder. However, it’s not a recommended way as, with every theme or plugin update, you will loose all the translations and edits you have done.